Sensor selection is critical in any validation, but when it comes to Autoclaves, SIP and Freeze driers response time is an incredibly important parameter. We use Ellab Tracksense Pro dataloggers with response times of T-90 of ≤5 Seconds. At Thermal Compliance we have many different sensors all with a response time T-90 between 0.8-4.3 seconds. o Leak Rate Tests, as the chamber integrity is not compromised. If you would like to know more about our validation services or the benefits of using wireless dataloggers please contact us or visit our validation page. Section 23.3.3.1.1 EN285:2015 requires a sensor response time T-90 of ≤5 Seconds. We perform independent response time testing, if you would like to know more please visit our Response Time page. 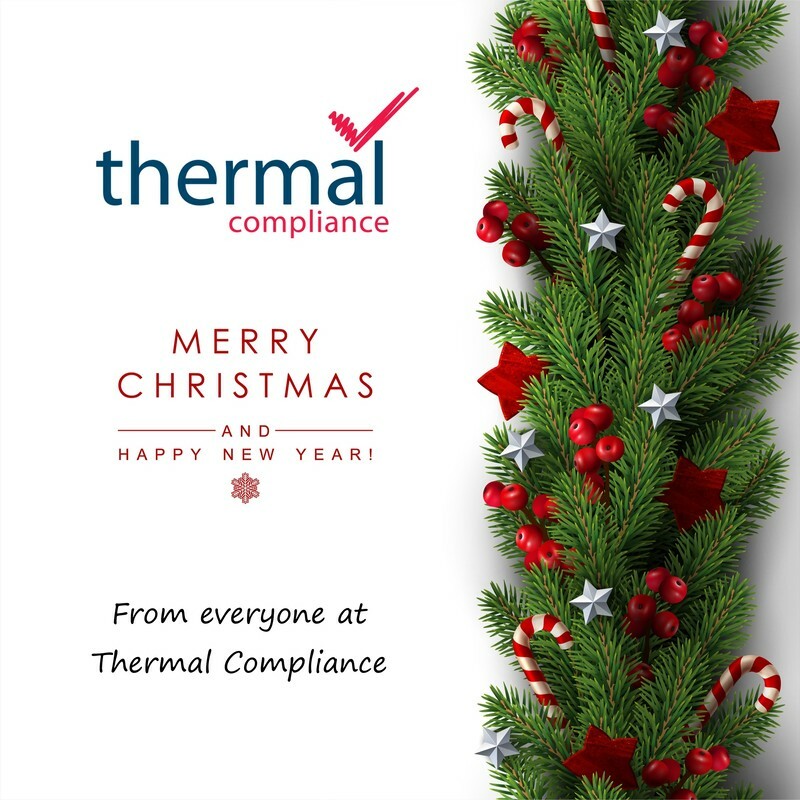 It has been a fantastic year for Thermal Compliance, with new projects across the world and the construction of our new Training and Development lab. With more exciting projects and new services planned for 2019 we are looking forward to a great new year. We would like to thank all of our client and suppliers and wish every body a very merry Christmas and a prosperous New Year! Congratulations to Michael Edwards, who is currently celebrating his 5 year anniversary at Thermal Compliance. Mike is a Senior Validation Engineer at Thermal Compliance with significant experience in Autoclave Validation, Depyrogenation, Steam Quality Testing, Temperature Mapping and Humidity Mapping. I would like to thank Mike for all his hard work from all the team at Thermal Compliance and on behalf of our clients. His knowledge, experience and work ethic are exceptional and a significant asset to us and our customers. Thermal Compliance are delighted to announce that we have been shortlisted for the Bionow Technical Service Award. Huge congratulations to all the team here at Thermal Compliance. The awards are organised by Bionow, an award-winning specialist business development and services company serving the life science sector in the North of England, the winners will be announced on the evening of Thursday 29th November at The Mere Golf Resort & Spa. With around 1100 life science and healthcare companies and a combined turnover of £10.9bn, the North of England's life science sector has the breadth of business, depth of expertise and investment in specialist infrastructure that rivals anything that any other UK region can offer and the Bionow Awards recognises this success and achievements. Geoff Davison, CEO of Bionow, said “The Bionow Awards honour the outstanding contributions of the North’s best companies and individuals who are driving innovation and delivering outstanding results. The 9 Award categories were keenly fought, and all our shortlisted nominees have shown that they are among the best in the business”. He added “We are very much looking forward to an evening of celebration with our nominees and guests”. Chris Maughan, Managing Director of Thermal Compliance, said “It’s a real honour to be finalists in the prestigious Bionow Awards and a real credit to the team at Thermal Compliance, whose commitment to quality, innovation and service optimisation has been exceptional’. We wish all of the companies shortlisted the very best and look forward to the event at the Mere Gold Resort and Spa. We are proud to announce the installation of our new training and development lab at our Barnard Castle offices. We use this facility for the training, development and continuous improvement of our field service engineers. We pride ourselves on the quality of our test equipment, our engineers experience and the speed we can perform testing. We have streamlined our process by using highly accurate and flexible datalogging systems, which allow our engineers to temperature map up to 4 temperature-controlled units at once. 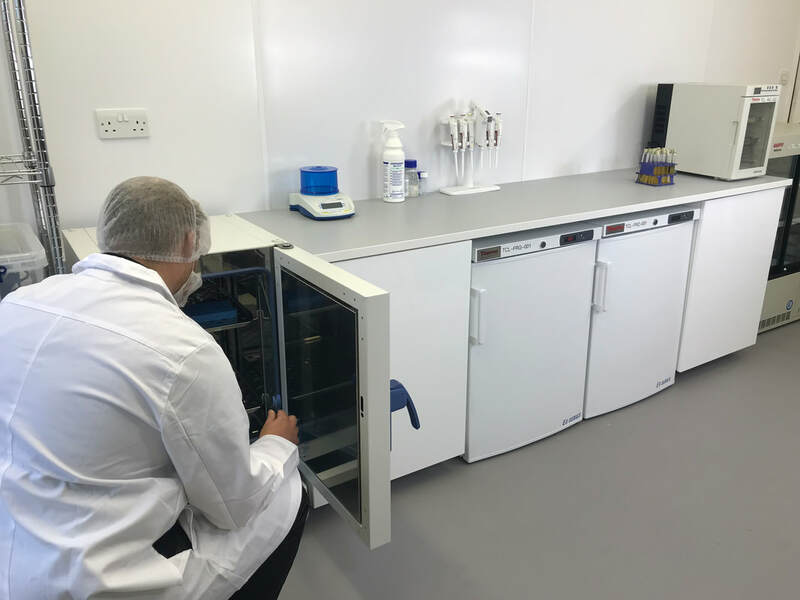 Our training lab is key to ensuring that our engineers have the level of experience and the adaptability needed to meet our client’s timescales and quality requirements. We will also be using the lab to generate examples of common failures our engineers see onsite and recording best practice videos to show resolutions to common problems.